Journey with us to the Wolof of Senegal - Bringing Jesus to the World! 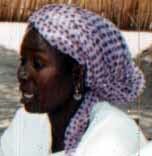 The Wolof people of Senegal are one of the priority unreached people groups in the 10/40 window. Over four million people with less than 100 known Christian believers! This is inspite of a great freedom for missions to work freely amongst them, serving the people of Senegal. Come with us on a journey to learn more about who the Wolof people are, and what part you can play in seeing the glorious Church of Jesus Christ established among them. Have you, your church or your home group adopted the Wolof people in prayer? We are seeking to bring together a network of all the individuals and groups who have adopted the Wolof people This will enable us to distibute more specific information for prayer and create a more efficient partnership representing all missions working among the Wolof. Why not email us at ForTheWolof right now, and let us know. Welcome to our new site address. All the old pages have been revised . And we have the latest Wolof modules for Online Bible to download. And for those who would like to learn Wolof, we have just about everything you need to get started on our Wolof language site. Perhaps there are Senegalese living in your city. Why not start to learn Wolof so that you can better reach out to them. Even just being able to greet in Wolof would make a big impression.